Nan Lee Jewelry Exclusive! 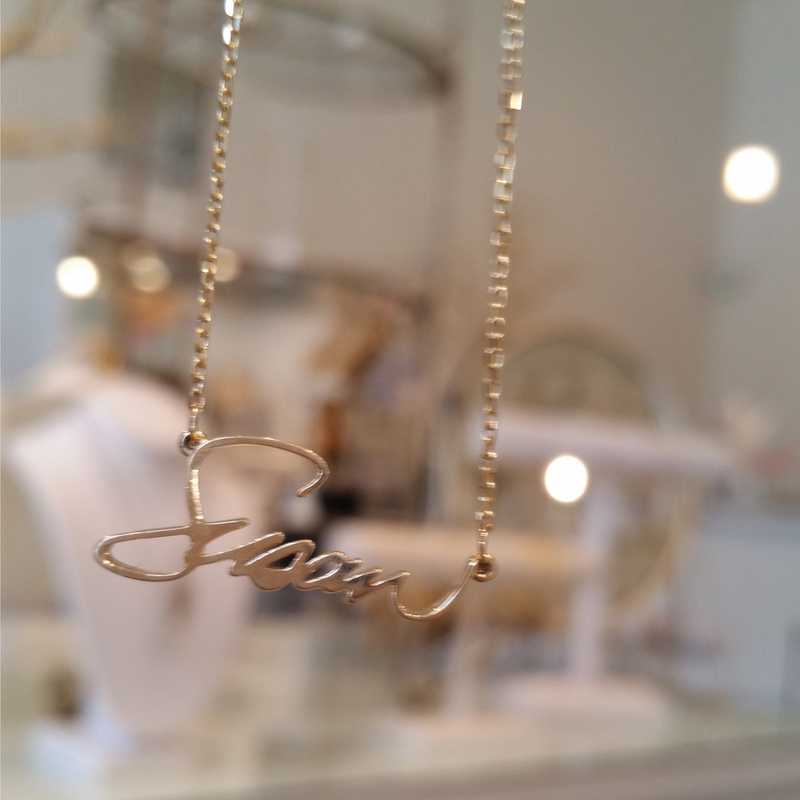 Your very own custom signature necklace is available in 14K yellow gold, 14K rose gold or Sterling Silver on a beautiful 16" chain. Your handwritten word or signature ins turned into a beautifully carved mini carved sculpture.